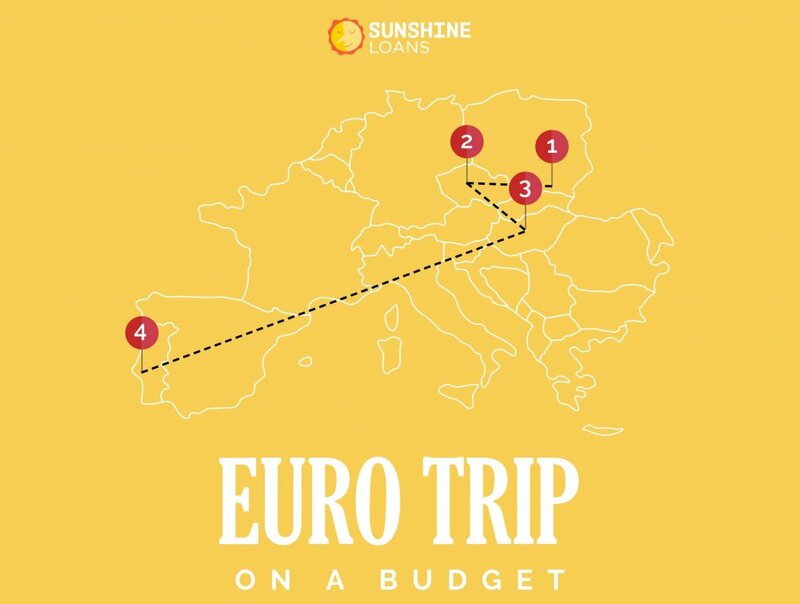 Planning your next big euro trip, but worried your budget won’t cover you the entire month? We have broken down the cheapest, (yet, still amazing) places to visit in Europe in 2019. This one-month itinerary covers our top four picks of budget cities in Europe. As we explore each city, we’ll talk through where to go including landmarks, some affordable eating tips and some budget accommodation that will aim to make less of a dent in your savings. So, let’s crack into it! The 9th largest country in Europe, Poland is home to 14 UNESCO World Heritage Sites and has a diverse range of natural landscapes. 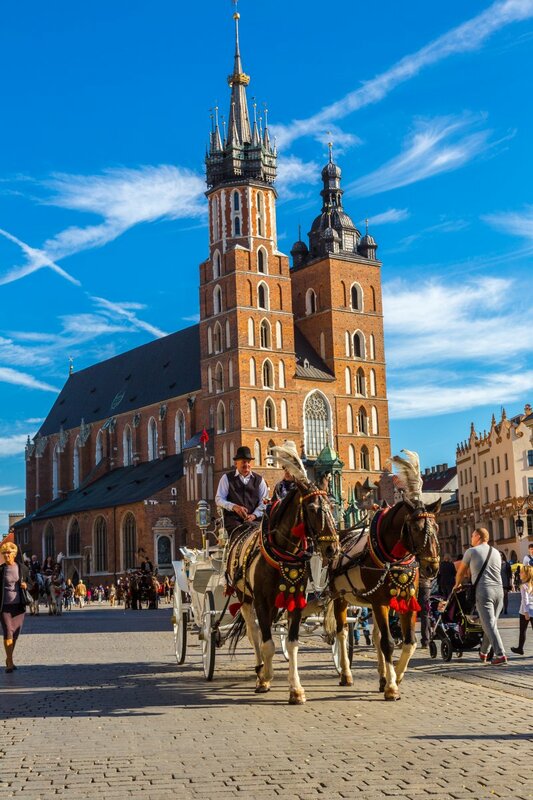 The city of Krakow offers exciting nightlife, culture, history, traditional architecture, rustic culinary delights and most importantly – affordability. Check out Krakow’s main market square. This picturesque attraction is more than just your mum’s old tack. Surrounded by stunning architecture, there are plenty of options for a unique memento or special gift to spoil someone on your return, with beautiful jewellery, artwork and antiques. You can’t go to Krakow and not take a tour of the Auschwitz concentration camp. One of the most infamous sites from the Holocaust; of the 1.3 million people sent to Auschwitz, it is reported at least 1.1 million perished within its walls. Taking a tour of this site where some of the worst human rights atrocities were committed is a humbling, educational and once-in-a-lifetime experience. Zapiekanka (a cross between an open sandwich and pizza) – is a popular, filling and affordable Polish meal, that is great for on the go. Bwarzanek krakowski (twister bagels) – you can pick one up from a local street vendor. Pierogi ruskie (Polish dumplings) – a mouth-watering option to snack on throughout the day. The price of your accommodation will generally depend on whether you want a private room or dorm. For Hostel dorms, we recommend Deco Hostel. With dorm rates for around $14-$15 AUD a night and 126 out of 132 customers recommending the hostel, it’s worth every penny. For a good deal on a private room, Good Morning Krakow Apartments 3 has studio apartments currently available at $55-$60 AUD a night. There’s the added bonus of a kitchenette to save you money on meals. You can easily hit the supermarket and prepare some of your meals in your apartment like a local. You can find great deals on flights; we found a direct flight with Ryanair for as little as $21 AUD from Krakow to Prague. 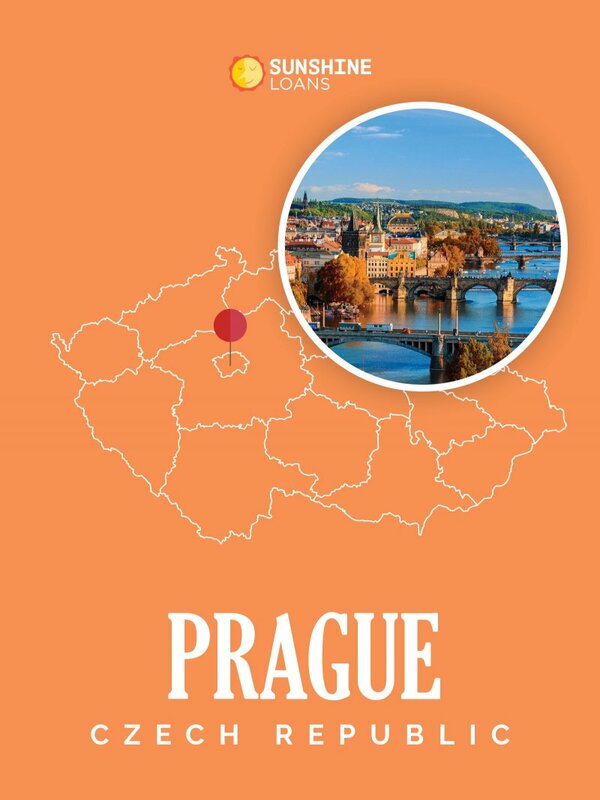 If you would prefer a more scenic route, you can catch the train for $28 AUD to Prague. It will take approximately 6.5 hours and you will arrive at a station in Prague called “Praha-Libeň, nádraží”, which is then just 20-30 minute tram or bus ride away. Czech Republic was rated the 6th most safe and peaceful countries in the world; it is also one of the most non-religious countries. A picturesque city with an eclectic history, Prague is the largest city in the Czech Republic. Centrally located and free to visit, Prague’s Astronomical Clock is an iconic piece of machinery. Installed in 1410 and located in the old town square, the mediaeval tower clock offers onlookers a display of mechanical artistry performed every hour when the clock strikes in the hours between 9am till 11pm. While Prague might be the 6th safest country in the world, we recommend keeping an eye on your valuables, especially at the astronomical clock, which is a hotspot for local pickpockets. The largest ancient castle in the world, Prague Castle was founded in 880 and is a UNESCO World Heritage site. Whether you buy tickets to go inside the Castle, view the exhibitions, take a guided tour or just marvel at its external beauty; Prague Castle has to be on your to-do list. The walk from Prague’s main square to Prague Castle is also very charming and picturesque. Traditional Czech meals are not suited to the average vegetarian, with dishes like svíčková, a marinated pork or beef side in a vegetable creamy sauce, often on many menus in Prague. With a bit of exploration, you can find filling Czech meals for under 100 Czech Koruna ($6-$7 AUD). For a quick snack, Prague has affordable Chlebíčky (open sandwiches) which offer a fuss-free and cheap lunch, that still gives you a taste of culture. If you’re searching for dorm rooms in Prague at a bargain, PLUS Prague have dorms for $11-$12 AUD. Situated in a prime location with a sauna, swimming pool, fitness centre, and bar, this is perfect for a group of mates who need to unwind after a night out on the town. Prague Sleep & Go have private dorms for two with all the trimmings for $40 Australian dollars. You can book cheaper accommodation in Prague, but this is great value for money. With the comfort of a private entrance and flat screen TV, you can live in luxury without breaking the bank. You can get flights from Prague to Budapest for as little as $25, or you can catch a train for $33, but it will take over 8 and a half hours longer. Time Saving Tip: Your break in Prague could be cut back to 3-4 days if you wish to save time. Situated in Central Europe, Hungary offers it’s unique folk culture, great nightlife and stunning architecture dating back to the 1200s. 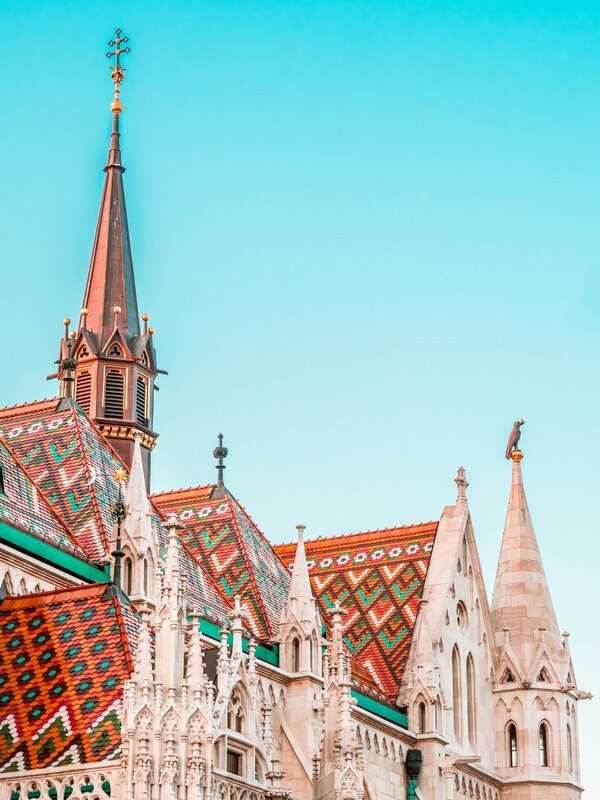 With a metro line making transport easy and a vibrant nightlife providing tonnes of entertainment, Budapest is an affordable and eclectic city to visit. 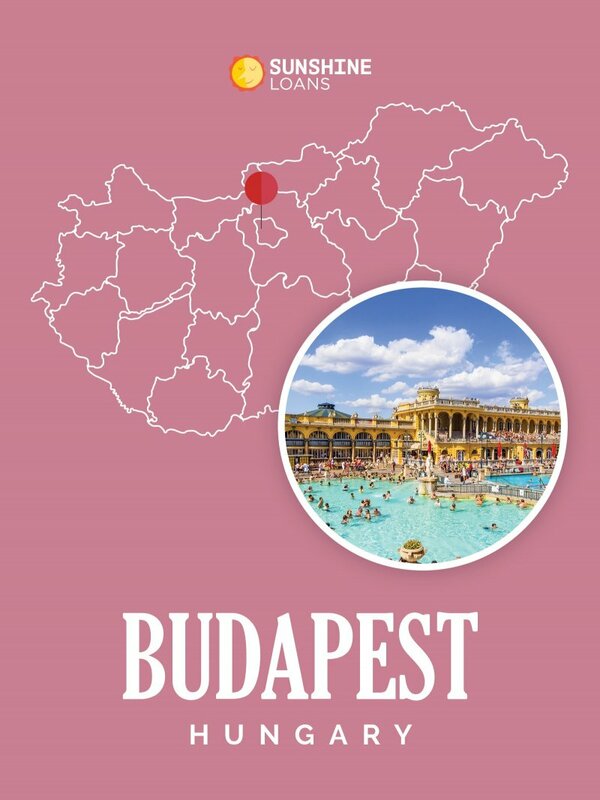 After a big night, why not head to the luxurious Széchenyi Thermal Bath? With it being the largest medicinal bath in Europe, the Széchenyi Thermal Bath is visually impressive and physically restorative. Spanning from ancient Roman ruins, Budapest offers a stunning skyline that exhibits the prominent architectural history of Europe. We recommend visiting Buda Castle and Hungarian Parliament Buildings for a look at some show-stopping structures. Built in 1265, Buda Castle has great guided tours, or you can explore the castle’s museum and galleries at your own leisure. Savings Tip: The Budapest Card offers free transport, guided tours, entry into some of the biggest landmarks and discounts throughout Budapest. Do your research and find out if it would be worth purchasing. Try the simple and flavourful food available throughout the streets of Budapest. Whether it’s a cafeteria-style restaurant or a food truck, there are affordable options throughout the city. Goulash is one of Hungary’s most popular dishes, which should also be kind to your wallet. One place to grab a cheap bite to eat, whether you’re after a national specialty or not, is Street Food Karavan. Located in the Jewish quarter, you will find a variety of food trucks and quirky outdoor sections in which to dine. Be aware that Karavan is usually closed during the winter months. But, with some proper hunting, you should be able to find a meal for 1,200 – 2000 Hungarian Forint ($6-$10 AUD). Not sacrificing on location or quality, Aventura Boutique Hostel offers budget accommodation in Budapest. With plenty of positive reviews and fun themed rooms, the Aventura Boutique Hostel has dorms starting at around $15 AUD. Budapest Budget Hostel has equally strong reviews, with private rooms for two at the low price of $39 AUD. 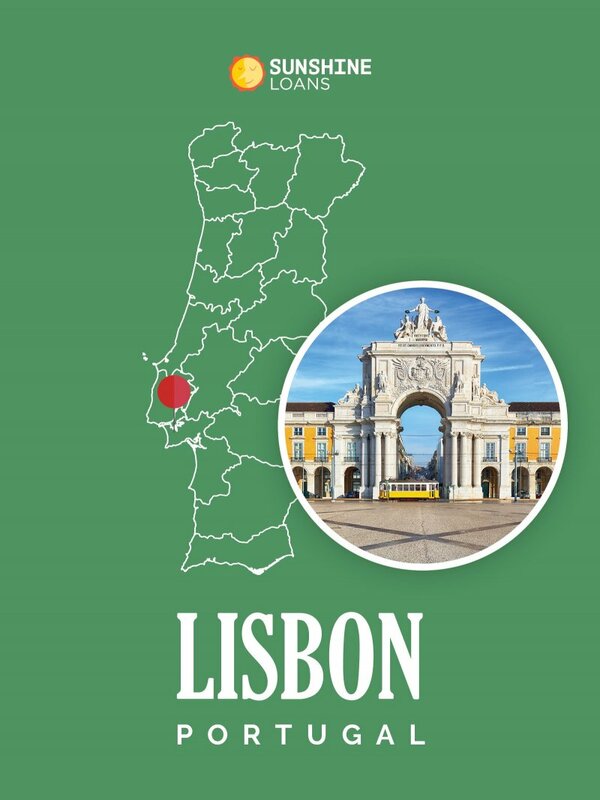 You can get flights for as little as $80AUD from Budapest to Lisbon with TAP AirPortugal. Lisbon soothes the soul with a relaxing seaside atmosphere mixed with a modern city that offers traditional heritage. With mountainous terrain, be ready to do some walking around this scenic city. Praça do Comercio is the main square in Lisbon and is one of the largest squares in Europe. Close to Tagus river, you can also climb to the top of the Arco da Rua Augusta to get a full view of the mighty plaza against the sealine. 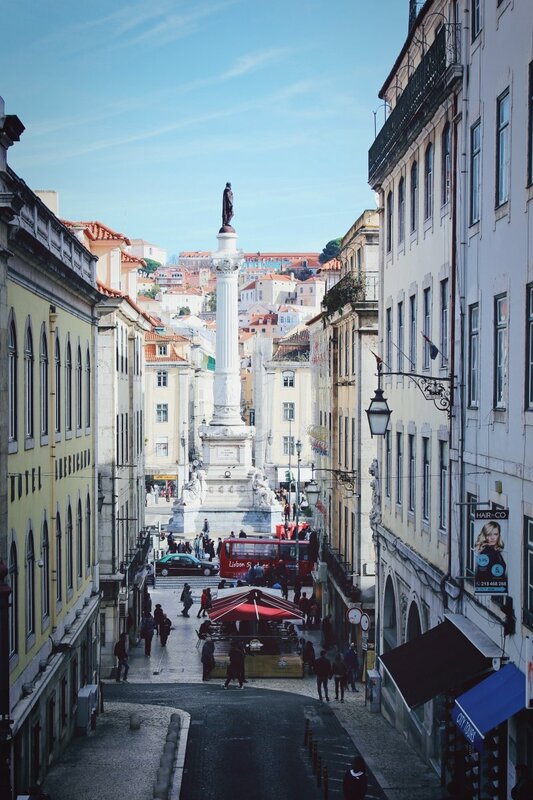 Lisbon is a very affordable city because it’s a great destination to just walk around and enjoy your surroundings. We recommend taking the iconic Tram 28 up the cobbled roads into the Alfama district. Alfama is one of the oldest districts in Lisbon with ancient and charismatic buildings that offer an artistic charm. If you’re in Lisbon for more than a few days, a day trip out to Pena Palace is well worth your time. The fairy tale palace demonstrates the 19th-century romanticism style of architecture and offers stunning views. Lisbon’s iconic egg tarts (pastel de nata). Expect to spend around $4-15AUD (3 – 9 euros) on your meals in Lisbon. For cheap accommodation in Lisbon, Urban Garden Hostel is in a prime location and has beds in dormitories going for as little as $16-$17 AUD. If you want a room to yourself, you can bag a private room at 4U Lisbon 3 Guest House for $66 AUD a night. These are our top four affordable cities in Europe that you can explore in a month. Our shortlisted destinations were Paros in Greece, the Albanian Coast, Valencia in Spain and Tallin Estonia. Remember – it’s important to do your own research and create a realistic budget before you jet off! Whether you’re travelling with your friends and staying in dorms or backpacking with your partner, you can travel on a tight budget with the right mindset. So, start packing your bags for a safe and affordable month in Europe. And from everyone here at Sunshine Loans we wish you happy travels!